Google has launched an iOS version of its Google Admin app, which gives admins a slew of options for managing user accounts on the go. The app launched for Android last May, but is now finally available for Apple devices. 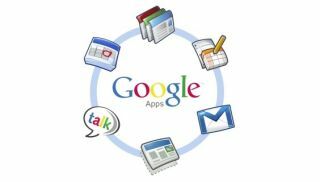 It lets super admins access Google Enterprise products, such as Google Apps for Business, Education, or Government, Google Coordinate and Chromebooks. The app requires API access to be enabled and also requires iOS 6.0 or higher. It can be downloaded free from the Apple App Store. Some of the things admins can do remotely via their iPhone or iPad include adding or suspending users, resetting passwords, managing group memberships, directly calling or emailing specific users, checking audit logs, or contacting support. Google recommends that all devices running the app have a lock-screen PIN for security. It also recommends its business users enable remote wiping in case a device is lost or stolen. The app is only available to super administrators.